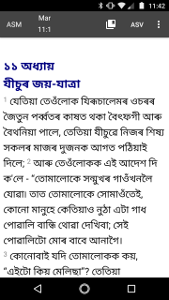 Download Gitden Reader from the Google Play store. 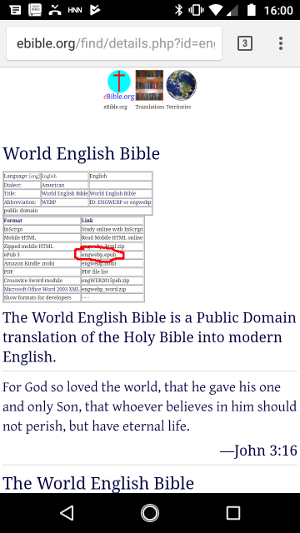 Download an epub file for that Bible from eBible.org. 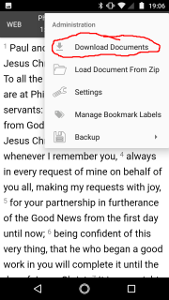 Open that file with Gitden Reader. 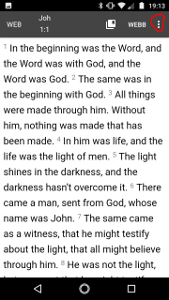 Download And Bible from the Google Play store. 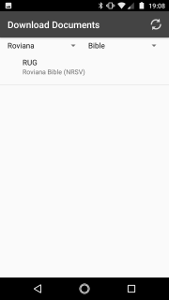 In And Bible, select the 3 vertical dot icon in the upper right corner. Refresh the selection (the two circle arrow icon). 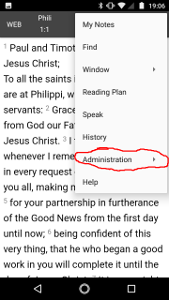 Select the language and translation you would like to read. 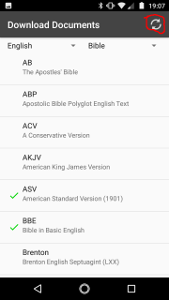 Back in the Bible reading window, select the Bible translation you want to read.